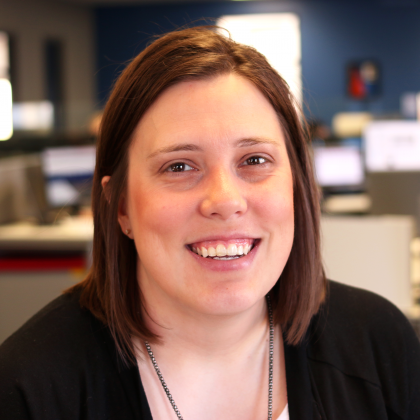 Here at eOne, it seems we get a lot of requests for a SmartList that gives the Payables transactions with their distributions and the corresponding General Ledger transactions. So many requests in fact that we decided to create one for everyone to use. 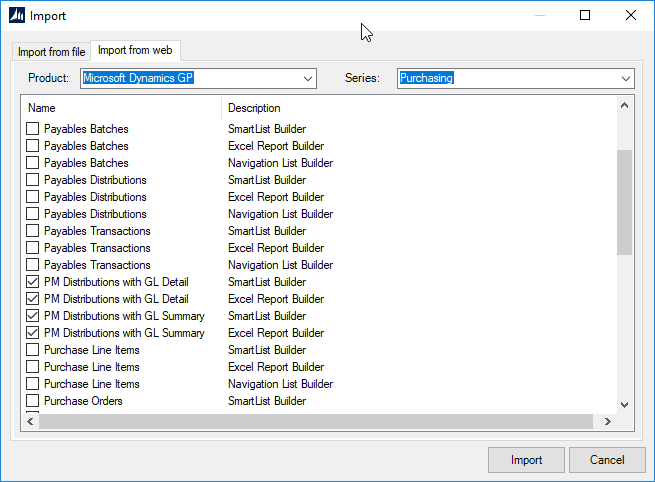 If you look in the SmartList Builder template list under the Purchasing series, you will find PM Distributions with GL Summary and PM Distributions with GL Detail SmartList and Excel Report templates. The setups are built to give you a list of Payables Transactions with their corresponding General Ledger Transactions. The difference between the two is how they are setup based on if you post to the General Ledger is summary or detail. What tables Involved are involved? How do I get the PM Distributions with GL Summary and PM Distributions with GL Detail SmartList and Excel Report to use in my environment? There is really only one requirement to get this list from eOne working in your environment, you need to have SmartList Builder. Once you have SmartList Builder, it is a matter of importing the list into your system. You can do this by going to Microsoft Dynamics GP – Tools – SmartList Builder – Import. From there, select the Import from Web tab and select the Product of Microsoft Dynamics GP and the Series of Purchasing. You will find the lists there to select and import. Once it is imported, you can use the list or edit as needed to fit your needs. You can find more information about the PM Distributions with GL Summary and PM Distributions with GL Detail SmartLists and Excel Reports and all of the other SmartList Builder templates from eOne on the SmartList Builder download page.